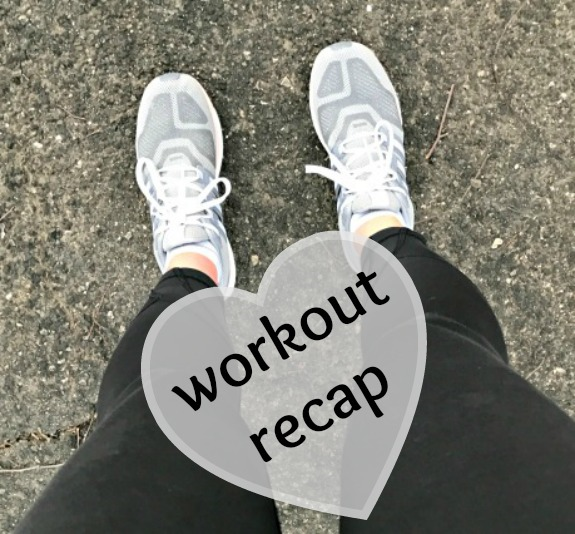 This week was a bit of a blur but I do know that all of my workouts were decent! I was able to run outside every day and the early sunrises are making my running life that much more enjoyable. My legs were a little tired and heavy so at the 3 mile mark I made the decision to cut my run short. I went with my own strength routine while watching the news. 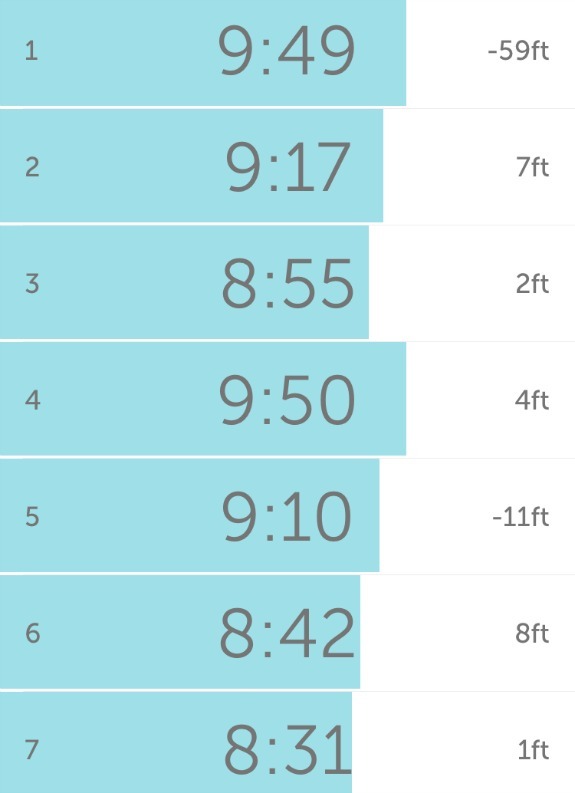 I ran a modified version of my negative split workout since I didn’t have time for 8 miles. In case you missed it, I shared my Not Your Average Runner post today too. It’s amazing how only 3 miles can feel so long on the easy, shorter run days! Today’s run was great. The weather was overcast, 50 degrees and drizzly. It was perfect! From the start I was full of energy and then at 4 miles, I decided to do .50 mile fast/.50 easy. I really could have kept going but I had to get home to start the day. 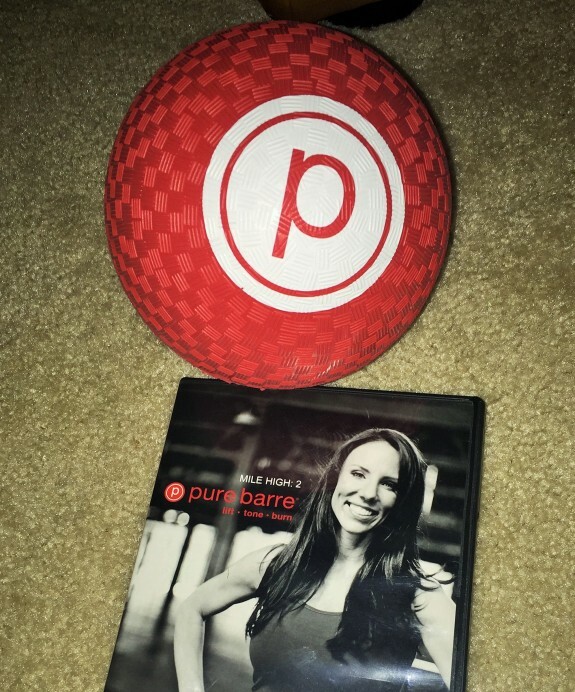 I made it outside for a quick run before the rain started and then came home for a Pure Barre Mile High DVD. I’m pretty sure I always say this but the Pure Barre Mile High Series really is the best. 35 minutes, targets every area and the thigh work is always killer. I do SO MANY different at-home Pure Barre workouts and I always come back to saying that Mile High just kills the thighs with its simple poses. Just a routine long run before getting my son off to his hockey game. How were your workouts last week? Are the early sunrises making it more enjoyable for you if you are a morning runner? I just wrote my recap for tomorrow and also described my week as a bit of a blur! I love the Mile High Series. Whenever I remember to do it Im glad I did. That looks like a fabulous week! I’m a little jealous… the doc banned me from anything but walking for a bit. UGH. You had a great balance of longer and shorter runs this week! Yesterday was a rest day that I really needed – and today’s run is a hard workout! Today is absolutely a rest day (from running!) … Heading to the pool in a little. I ran 17 miles on Thursday, swam Friday, 14 on Saturday, and 11 yesterday. I am TIRED and my legs need a break! Best thing I ate over the weekend – The brownies I made for myself for my birthday 🙂 Topped them with cream cheese frosting and they were SO good! Arthi recently posted…Things I’m really into right now. Nice job last week! Today is a run day, AS USUAL. Ha ha ha! Looks like a great week! Today was a run day for me, 7 miles at 5am this morning! You get in so many good miles; and I’ve tried a few short Barre workouts. They seem really intense, and I would love to try some more. I haven’t been running right at sunrise, but I have been running in the morning more this year, and it’s been so amazing getting out in the fresh morning air. barre is totally intense but I love it! it’s a different intense than cardio intense and even from weight lifting intense. if I can help you find online workouts or DVD’s, just let me know! I was so excited to see the sun come up as I ran last week! I went to Napa with friends last weekend and I would have to say it’s a toss up between affogato (ice cream with espresso poured over it) or mango ginger cheese. I am doing a run streak, so even though I feel like poop, I ran 1 mile on the treadmill this morning. Boo. aw, I hope you are feeling better today!